A Dynamic Leader of Consumer Brands and Disruptive Start Ups. A seasoned global executive -- classically trained Chief Marketing Officer in consumer goods and services who morphed into a highly entrepreneurial CEO and startup advisor -- adept at solving complex business challenges and driving growth. Pazzani is a great marketer who is also a highly driven business executive. Highly experienced in the executive C-suite, inside an ad agency, with investor groups and shareholders, and as an entrepreneur, Pazzani has a 360° view of company operations and a strong slant toward high performance, results-driven marketing. With tenures at Bally Total Fitness, Foote Cone and Belding, DDB Worldwide, Heublein (now Diageo), dozens of the Fortune 500 company clients and a portfolio of start ups, he has worked on six continents and acquired potent skills at aligning marketing, sales & operations, achieving strategic advantage, driving growth, and orchestrating all the pieces toward lofty goals. The skills of a decathlete. A track record of strategic leadership, consistent growth and positive outcomes. • As the first Chief Marketing Officer of Bally and Crunch, the troubled fitness company that was #1 in its industry with 450 locations, he ignited a rapid revitalization that upgraded and integrated their branding, direct response media buying, field marketing, web presence, and CRM. He brought in IDEO to help design the 'fitness experience of the future', and he revolutionized the ad agency model by going in-house, saving a fortune in production costs, while creating new advertising that generated a record surge of new members and revenue that became a Harvard Business School case study. • Over thirteen years at Heublein (now Diageo), he rose from entry-level to the top marketing job in the company at age 32, first moving from brand to brand, then division to division, repairing, guiding and growing global brands like Smirnoff Vodka, Jose Cuervo Tequila, Black Velvet Canadian Whisky, Christian Brothers Brandy, Inglenook and Almaden Wines, Blossom Hill, The Famous Grouse, Highland Park Single Malt, Don Q Rum, Yukon Jack, and many more. • At Foote, Cone and Belding for seven years, he headed the agency's global strategic consulting group -- The Chess Team -- where they were marketing strategists for Kraft, SC Johnson, American Express, Citibank, US Postal Service, Samsung, Tropicana and many others across a 100-office network, with extensive work in Chicago, San Francisco, Hong Kong, London and across South America. • And as CEO of bi-coastal Elias Arts, the world's most awarded music agency, he reunited, transformed and grew a fragmented company against the tide of a declining industry. By pioneering the new discipline of audio brand identity for major clients like American Express, Apple, Audi, Cisco, Citi, Coke, Gatorade, Infiniti, McDonald's, Nike, Yahoo, and by putting the company on a path toward full-service music holding company, they were able to diversify into Latino music and music licensing, and thrive in a very troubled category. His professional network is diverse, eclectic, and vast, and he uses it to attract talent, develop and mentor people, and build strong teams. Innovative & Entrepreneurial : Traditional & Digital. Now a serial entrepreneur, he is immersed in three areas -- brain/fitness technology, craft spirits, and vaping -- with a common thread that requires a balance of entrepreneurship, strategic vision, marketing savvy, and a penchant for re-imagining the future. • In 2009, with experience and teammates from the Heublein/Diageo years, he started a craft spirits company, United Craft Distillers, that provided advisory services, world class marketing, and sales expertise to hyper-growing, micro-distilled, small-batch spirits brands. This has evolved into Master Distillers Inc. which handles sales and marketing for T1 Tequila Uno (named 2016's Best Craft Tequila), Tears of Llorona tequila, and others and it continues to evolve as the craft spirits category grows to prominence. • Following his stint at Bally, he's remained active in the fitness sector, advising 24 Hour Fitness on strategic marketing issues, and in early 2012 he joined forces with investors, fitness operators, and healthcare experts to develop the company that became Act!vate Brain & Body, where they are re-inventing fitness as upstream preventive healthcare for the baby boomer generation. Now a think-tank for fitness above age 50, they re-launch in late 2019 with geographic expansion to follow. • In 2014 he began an exploratory into the fast growing vaping industry, which is proving to be a powerful anti-smoking enabler and a disruptor to the status quo. This led to the creation of Cloud 10 Brands and Silver City Vapors, a fast-growing venture to build a national vaping company with a strong anti-smoking mission, and to joining the national board of directors for SFATA, the Smoke-Free Alternatives Trade Association that is the lobbying voice of the vaping industry in Washington DC. • And in 2018, combining he background in fix-it marketing and competitive strategy consulting, he launched Triage Team, a crisis PR, strategy and communications firm that fixes difficult problems for select clients and brands through strategic and persuasive communications and publicity. Driven. Competitive. Infectious enthusiasm that gets results through and with other people. You have to be motivated, disciplined, persistent, and goal oriented to earn three college degrees in just over five years -- B.A. in Psychology, B.S. in Marketing, and an M.B.A. -- and that is just what Pazzani did, an early sign of a compulsive curiosity, a never-ending search for perspective, and a competitive fire that has never faded. An oft-published writer and panelist on marketing, branding, competitive strategy, and music, he gave a TED University talk at the 2008 TED Conference in Monterey, CA on The Power of Music. He has led business strategy seminars in Argentina, Australia, Brazil, India, Japan, London, Mexico, New Zealand, South Africa, Venezuela, and at the Cannes Lions and Dubai Lynx advertising festivals. His articles have been in Advertising Age, Billboard, Brandweek, Marketing Daily, and SHOOT Magazine. Pazzani has always been drawn to difficult challenges. He's climbed to the summits of major mountains on all seven continents, explored Antarctica, Easter Island, Ngorongoro Crater, the Equatorial Rain-forests, the deserts of United Arab Emirates, Mexican volcanoes, and beyond, and as a former F2000 racing driver, he has a keen appreciation for the value of precision, speed and high performance. Notably, he was the 146th human being to stand on the summit of the very remote Vinson Massif, the highest point in Antarctica, and has climbed both The Matterhorn and Mont Blanc five times each. He's currently embarked on a mission to climb all forty-eight 4000-foot peaks of New Hampshire as he trains to climb Mt. Everest in 2020. But before that happens, there's the book. 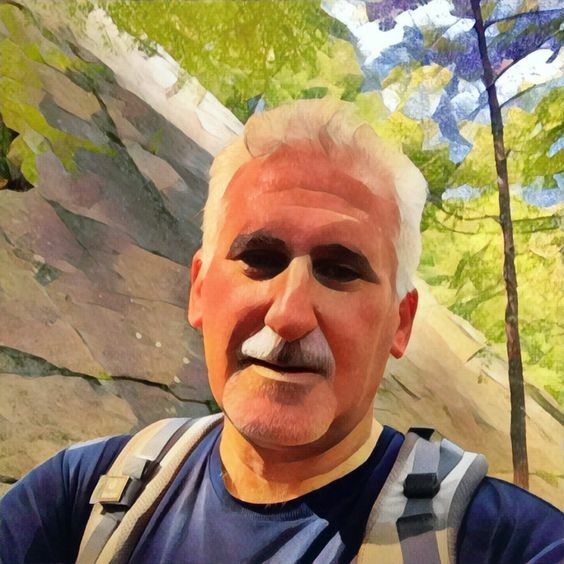 After at least 100,000,000 uphill steps over fifty years of climbing and hiking all around the world, he's been persuaded to turn his transformation from a corporate animal to a serial entrepreneur into a book -- The Mountains Made Me An Entrepreneur -- that is due in late 2019.